Niki Terpstra has left pro cycling team Quick Step Floors for Direct Energie. The announcement was made in August and has given me time to reflect on the career of one of my favourite cyclists. I’m not exactly sure why it is that Terpstra is one of my favourite professional cyclsists. As a cycling fan, which riders you support and identify with is subject to a strange and unfathomable thought process. I’m not sure it’s something that’s possible to explain! The announcement was made just before Quick Step revealed their new title sponsor and name change to Deceuninck–Quick-Step (how do you pronounce that? – it’ll be fun next season listening to commentators attempt it!). Would he have stayed if he’d have known there was a new sponsor to bolster the funding cash pool? 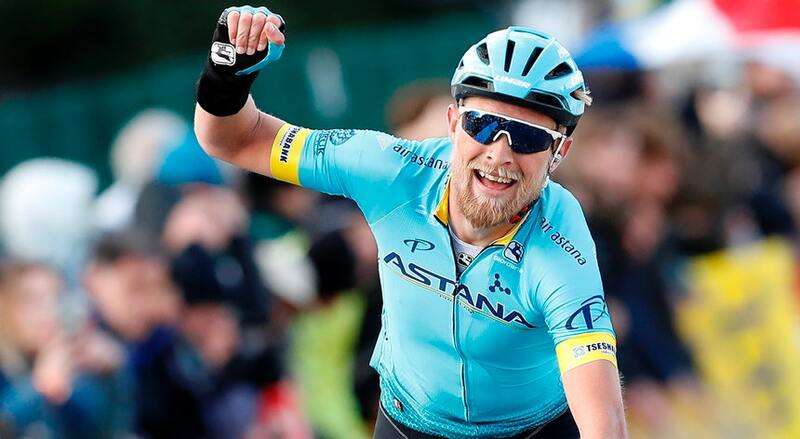 He, like all the riders at Quick Step, was concerned for his future and jumped ship before the announcement was made after riding with them since 2011, the bulk of his pro career. Quick Step had the most successful season last year of any pro cycling team in living memory – probably since HTC Highroad in their day, but HTC relied on many of their wins from Mark Cavendish. What was unique about Quick Step’s 2018 season was how their wins were spread throughout the team. Classics, sprints and time trials, team time trials, Grand Tour stages and even a Grand Tour podium with the somewhat suprising success in the Vuelta with Enric Mas. 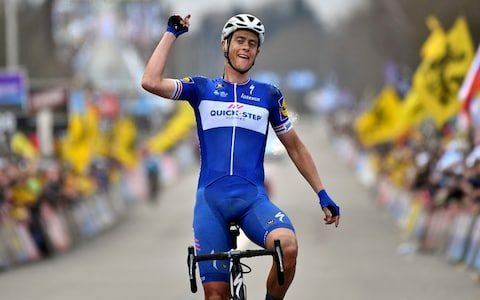 In all this success for Quick Step, none of the wins was quite so exciting for me as seeing Nikki Terpstra ride everyone off his wheel in a stunning victory at the Tour of Flanders. Nikki, I wish you all the best at Direct Energie, but I’m concerned that it’s not going to be the best decision you ever made. Hopefully I’m wrong and you’ll have a stellar season that gives you sole leadership in the races that you target with very many more beautiful victories. New roads should prioritise cyclists and walkers, according to influential health group. Leave the car behind and get on your bike. Come on. Lets do it. How to do your shopping by bike. Sound advice from @sustrans with some great tips on how to do it. People have gotten lazy. Go everywhere in their car. Obesity. Diabetes. Expensive, privatised public transport. It all adds up. 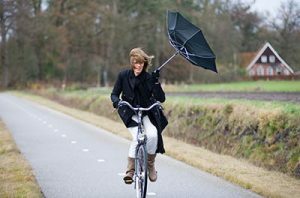 Why not buck the trend and do your shopping by bike. Keeps you active; cheaper; better for you; unclutter the cluttered roads. Better off by bike. Easy. Geraint Thomas was crowned BBC Sports Personality of the Year 2018 last weekend. 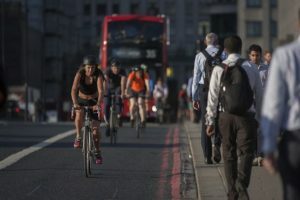 The cycling vote got out again! Well done the G Man, I can’t think of a more deserving winner. However, the reaction to it has been a little tepid comparing it to previous cycling winners. When Chris Hoy won, no other cyclist had won since Tom Simpson in 1965, it was bedlam in the cycling world. There was similar euphoria when Mark Cavendish won too. It feels like it’s all a bit so so. Is it that people are a little tired of this kind of event? I thought the Medway Sports Awards was better! There was a lot of cheesy over the top, cringe-worthy pomp during the evening. The frothy flannel for the England football team was embarrasing. You’d have though they’d won the world cup. Even that nice Mr Southgate looked a bit embarrased. Well done to the G Man – I, for one, think you are fabulous.